Adopted on May 14, 1976. A Senate Concurrent Resolution, designating petrified wood, SiO2 - Silicon Dioxide, as the state stone, was adopted May 14, 1976. 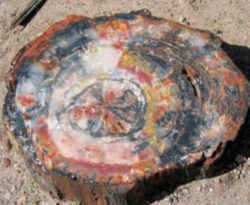 Petrified Wood is real wood that has turned into rock composed of quartz crystals. The Mississippi Petrified Forest is a privately operated park and museum (located at 124 Forest Park Road, Flora, Mississippi). Because it is difficult to know exactly which trees these woods came from, they are assigned to paleobotanical form genera with the suffix -oxylon (meaning "looks like") - hence wood which resembles that of modern palms is called Palmoxylon, but may or may not be from trees closely related to modern palms. Most of the best petrified wood from Mississippi comes from trees which grew in the state during the Oligocene Epoch, around 30 million years ago. The Gulf of Mexico's shoreline extended further north at that time, which explains why the wood is found in the more northern parts of the state. This petrified wood formed when a tree was buried by sediment, and its tissues were replaced by silica in the groundwater. 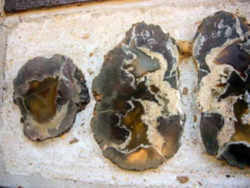 A variety of chalcedony, fossil wood replaced by chalcedony (silica), sometimes also by Opal. The material replacing the wood may vary. 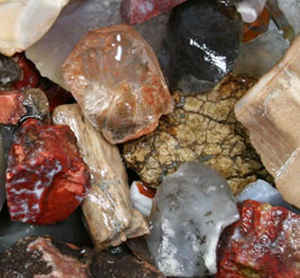 Most commonly, quartz, in the form of agate, opal, or jasper, will be the replacement material. Occasionally, limonite, carnotite (an uranium mineral), or other minerals will be the replacement material. 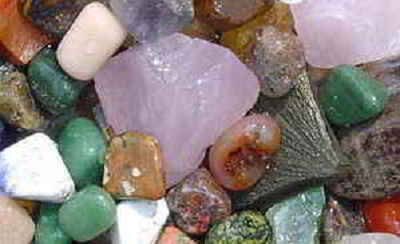 Trace minerals included within the silica impart a variety of hues, ranging from black to blue to red. The Mississippi Petrified Forest is a privately operated park and museum located at 124 Forest Park Road, Flora, Mississippi. 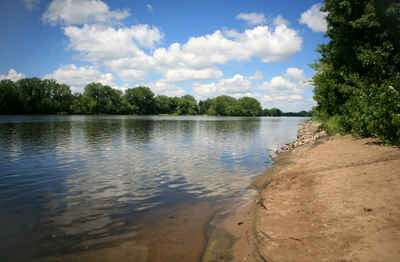 This site has been known since the mid-19th century, but it was not until 1966 that it was named a Registered National Natural Landmark, and subsequently developed and opened to the public. Mississippi Senate Concurrent Resolution, adopted May 14, 1976.